Farrar, Straus and Giroux (BYR), 9780374355401, 40pp. It's a little after four o'clock, and everyone's busy. Mom's on the phone, Dad's checking e-mail, and Katie's playing games with a friend. But there's one other person in the house, and no matter what he does from painting a blue heart on the wall to turning the kitchen into a catastrophe (that's a really big mess) none of his distracted family members come to stop him. What does a person have to do to get noticed around here? 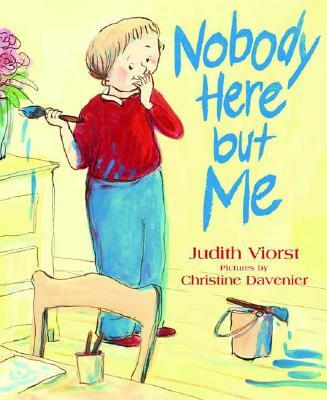 This laugh-out-loud story by best-selling author Judith Viorst, accompanied by Christine Davenier's charming illustrations, perfectly captures how lonely it can feel even when the house is full of people and just what it takes to get some attention. JUDITH VIORST is the author of the perennial favorite "Alexander and the Terrible, Horrible, No Good, Very Bad Day," among other books for children and adults. She lives in Washington, D.C. CHRISTINE DAVENIER has illustrated many books, including "Me I Am! "by Jack Prelutsky and "Sally Jean, the Bicycle Queen "by Cari Best, a "School Library Journal "Best Book of the Year. She lives in Paris, France.